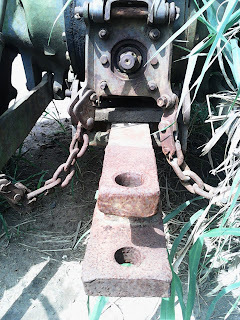 Home / AGRIC TECH / WHAT IS AGRICULTURAL MECHANIZATION? > WHAT IS AGRICULTURAL MECHANIZATION? Agricultural mechanization is the process of assisting human systems with mechanical systems in carrying agricultural operations. It is also defined as the process of using tools, implements and machines aimed at improving efficiency and adding values in agriculture. It is broadly defined as the process of development and introduction of mechanical assistance of all forms, at any level of sophistication in production, processing and distribution, in order to reduce human drudgery, improve timeliness and efficiency of various farm operations, bring more land under cultivation, preserve the quality of agricultural products provide better rural living conditions and advance the economic growth of the rural sector. Increase the quality of products produced. Increase economic returns to the farmer. Improve timeliness and precision of operation. Reduce losses and improve quality of food products. Reduce drudgery in farm operation. Increase dignity of the farmer. Ensure regular supply of raw material to industries.